After four seasons with the BC Lions, Lions running back and kick returner Ian Smart was released by the club as we learned from Ian himself on Twitter. Ian’s greatest moment as a Lion came in the 2006 Grey Cup game when he ran in a 25 yard touchdown to help the Lions win the championship. 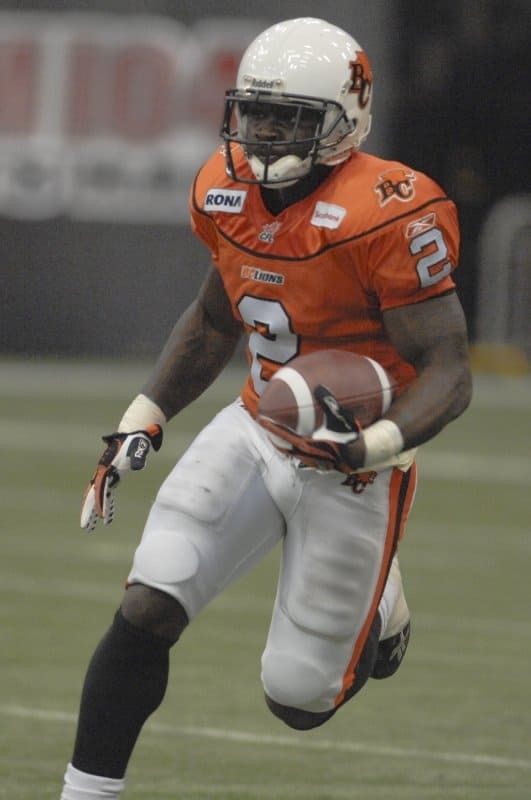 He was a special teams leader, winning the John Agro Special Teams Award, awarded to the CFL’s Most Outstanding Special Teams player in 2007. In 2003, Smart attended New York Jets training camp but joined NFL Europe’s now-defunct Scottish Claymores as a running back. He played 4 games with the NFL’s Tampa Bay Buccaneers in 2004. He was on the Buccaneers’s practice roster during the 2005 season. He joined the Lions in 2006 and replaced Aaron Lockett as the Lions’s kick returner during that season. We’d like to thank Ian on behalf of Lions fans for four great seasons, and wish him all the best in his future football travels.